Is your RV ready for the season? 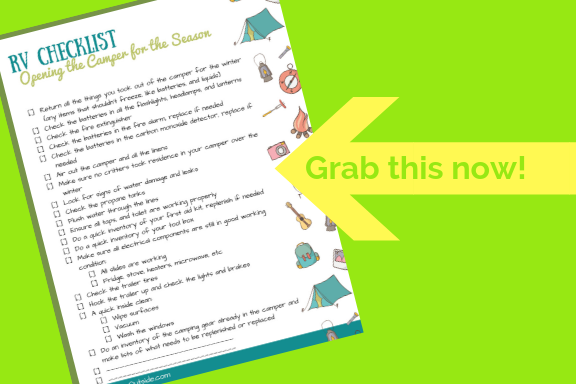 Get access to this handy printable and make sure your camper is ready for the season! After you sign up for the Newsletter check your inbox and confirm your subscription. You'll then be sent the Spring RV Checklist. The Take Them Outside Newsletter will help you connect more with nature, give you tips and activity ideas, and inspire nature appreciation for the whole family. You'll also get the password for the entire printables library full of other packing lists, nature scavenger hunts, outdoor games, and more. Yes! I want easy family Camping! Planning and Packing for your camping trip should not take days! Organize, plan, pack, have fun. Get tips, meal ideas, activities, and printable games. 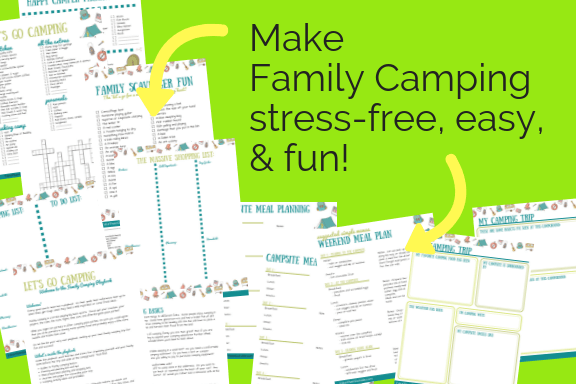 This printables pack and ebook is for busy families wanting simpler family camping trips whether they're new to camping or not. It's family camping made simple! Grab your special offere here! Say goodbye to spending hours prepping, packing, planning, and trying to keep everyone happy! And, instead spend more time enjoying your family and your camping trip! 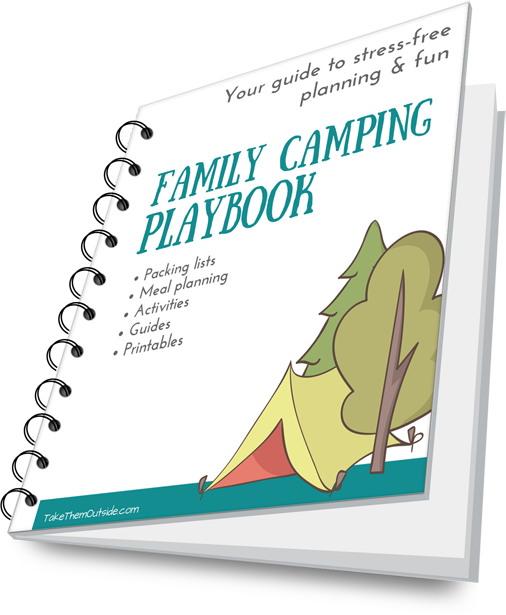 This 35+ page ebook is your go-to-guide for all your family camping needs. Do you struggle with packing... knowing what to pack, if you've packed it already, or how to organize your gear? The Camping Packing lists will help you stay organized, make sure you're packing the essentials, and get your kids involved in packing their own things too! Do you stare into the cupboards wondering what food to bring along on your trip? Do you get to the campsite and wonder how you'll keep everyone happy and entertained? Have you ever wanted to journal your camping trip or time outdoors? Use the campground review form to keep track of all the details of each campground so you reference back to this in the future. Is it time to make family camping simple? This book is perfect for you if you're new to family car camping or wanting to organize and plan your trips with more ease and fun!